It had 270 shows in Chennai only. It minted about Rs. 13.1 crores as per the opening day record mentioned on Andhra Box Office. The area wise break is as follows. From Chennai, it earned Rs. 1.01 crore, North and South Arcot gave it Rs. 1.60 cr, From Coimbatore it collected Rs. 4.04 crores. Madurai, Trichy & Thanjavur, Salem, and Tirunelveli-Kanyakumari regions, it minted a total of about Rs. 6.45 cr. The movie fulfilled many of the high expectations which the Tamil film industry had with it. It was expected that it will surpass the business of Vedhalam, but it failed on that note. However, it has a genuine reason for it. Being released on a smaller number of screens, it wasn’t able to do it. Ajith’s Vedhalam was released on over 520 screens. The most of the theatres of Chengalpet region missed Theri on Thursday. This area used to generate the one-third amount of the total collections for any Tamil flick. It wasn’t released in that area as distributors and exhibitors couldn’t agree to a mutual profit sharing agreement. As a result, it missed a great opportunity to collect more moolah. Before the release of Theri, it was expected that Chengalpet region would give it an approximate amount of Rs. 8 cr on itself. But, missing most of the theaters has resulted it to collect only Rs. 3 crores. If it would have been released in the whole of the area, then it could have beaten the Vedalam records for sure. Theri overseas Thursday collections have been excellent. It is faring well in the US market. From the premiere shows, it has already earned $251,123 which is approximately Rs. 1.5 crore in Indian currency. The same situation existed on Friday, i.e., the second day of its release. Both the parties failed to find a mutual benefiting solution yet. Friday is a holiday for a limited number of people. So, the figures are expected to be somewhat near to the previous day. The critics have appreciated the film via Theri review. So, it is anticipated that the movie will grow more in the coming first weekend days to the par level. Moreover, the good word of mouth is helping it to increase its business. Australia – A$ 79,269, Fri A$ 82,981. Total: A$ 162,250 [₹ 83.31 lacs]. Friday is a partial holiday for some while Sunday is a holiday for most of the people. Thus, the film is going to witness a record-shattering box office collections. One more good news is that Tamil Nadu government has granted it Entertainment tax exemption. 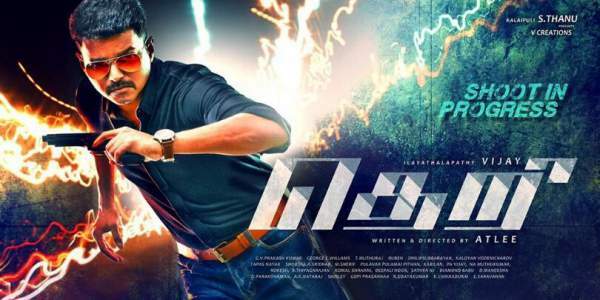 Meanwhile, what figure do you think that Theri will earn in its first weekend? The final numbers will be updated tomorrow morning. Join the conversation via comments below. Theri collections will be updated on daily basis. Stay tuned for latest Kollywood news and other Entertainment updates.